Cape Town - The buzz of excitement around our track and field season hits cruise speed this week as top athletes head for a super-clash at the three-day ASA Senior Championships at Tuks Athletics Stadium in Tshwane on Thursday to Saturday, March 15- 17. This championship, which is South Africa's premier brand, has proved to be a highly-awaited competition amongst athletes who are coming out in numbers. Having shown good form at the inaugural Athletix Grand Prix Series, the country's top athletes are eager to shine this week. 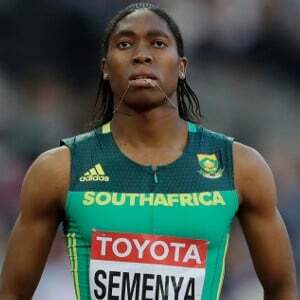 Last week, Olympic champion Caster Semenya, confirmed that she will compete in the 800m and 1 500m events. After securing gold and bronze at the IAAF World Championships in London last year, she is geared up for another international double at the Commonwealth Games in Gold Coast, Australia next month. "The 800m and 1 500m are the main thing (for me) at the moment because we're focussing on middle distance," Semenya said after setting a national 1 000m record of 2:35.43 on the Tuks track last week, breaking a 35 year-old record. "We try by all means to be better in each and every race that we run, so I hope we will be able to balance that and we'll see what we can do." Sprinter Akani Simbine, who opened his season with a 10.05 victory over 100m at the Grand Prix Meeting in Tshwane, said he too will turn out in two individual events at the annual national championships. After winning the 100m title and taking second place behind Wayde van Niekerk in the 200m final in Potchefstroom at the same Champs last year, Simbine will again target both sprints in the capital city, this time in the absence of the injured 400m world record holder. "I'm going to double up the 100m and 200m," Simbine said. "It's something I feel I need to do because I need to get race fit before the Commonwealth Games." Long jumper Ruswahl Samaai, who launched an impressive 8.24m leap in Tshwane last week, is also eager to compete for the national crown with the World Championships bronze medallist lining up against in-form global champion, Luvo Manyonga. "The ASA Champs are always good because I compete against the world's best, which motivates and brings out the best in me," Samaai said. "I'm really looking forward to it, and to giving the people a good show." Aleck Skhosana, the President of ASA, said this promises to be a great week ahead. "Firstly, congratulations to Caster for breaking the long-standing record in the 1000m," he said. "This week we are looking forward to seeing her produce even better performances in the 800m and 1 500m. We hope that together with other athletes, she is going to be in top condition at the Commonwealth Games and become one of the athletes to achieve a double in the two disciplines. "We wish all athletes and their coaches well for the coming championships in Tshwane and we believe the best is yet to come for the fans."